A long, tragic series of events brought King Ludwig III to the Bavarian throne. He was the monarch who was never destined to become king and yet ended up wearing the crown against all odds. He did not inherit it, but instead took it from his mentally ill cousin after the Bavarian Parliament amended the constitution allowing him to do so. Ludwig would also be the last of the Bavarian kings and his short reign, marked by World War I, would, in fact, usher in the end of his family’s 738-year rule over Bavaria. Ludwig Luitpold Josef Maria Aloys Alfried was born on January 7, 1845 in Munich to Prince (later Prince Regent) Luitpold and Archduchess Auguste Ferdinande of Austria. Like his cousin, Ludwig, he was named after his grandfather, King Ludwig I, who also became his godfather. When Ludwig was born, the odds of him ascending the throne were very slim. His uncle, Maximilian, was the crown prince and any sons he would have (later Ludwig and Otto) would inherit the throne before him. Of course his own father also stood before him in the line of succession. Not destined to become king, the Prince spent the first part of his childhood in the Electoral Rooms in the Munich Residence before his family moved to Leuchtenberg Palace. At the age of sixteen, he joined the Bavarian military when his uncle, who was by then King Maximilian II, gave him a commission as a lieutenant in the 6th Jägerbattalion. In 1864, Ludwig began studying philosophy, law, history and economics at the Ludwig Maximilians University of Munich, but quit a year later in 1865. When the Austro-Prussian War broke out in 1866, Ludwig participated as a first lieutenant on the side of Bavaria and the Austrian Empire. 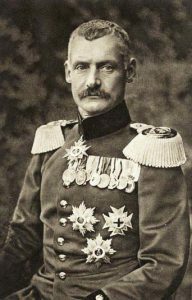 During the war, he was shot in the thigh at the Battle of Helmstedt which contributed to the fact that he was generally adverse to the military — a bitter fact considering that his reign is primarily associated with Bavaria’s participation in the First World War. Ludwig married Maria Theresia, Archduchess of Austria-Este and Princess of Modena on February 20, 1868 in Vienna, Austria. The marriage turned out to be very happy and resulted in thirteen children, the oldest of which was Prince Rupprecht who would fight for his claim to the Bavarian throne long after the end of the monarchy. The Archduchess brought a significant fortune with her into the marriage, enabling Ludwig to purchase the Leutstetten Estate near the city of Starnberg south of Munich. There he could pursue his life-long interest in agriculture, eventually transforming the estate into a model of success. In fact, he was named the Honorary President of the Central Committee of the Bavarian Agricultural Society in 1868 and many people called him Millibauer (High German: Milchbauer; English: dairy farmer). On June 9, 1886, the Prince’s cousin, King Ludwig II, was declared unfit to reign, deposed, and his father, Luitpold, was made regent a day later. Suddenly, Ludwig found himself sucked into the center of power as the heir to the regency. His other cousin, who was now King Otto I, had already been declared insane and unfit to reign. 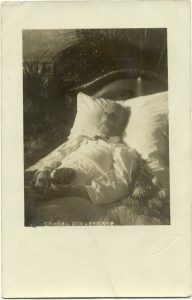 His father’s regency lasted for 26 years until his death on December 12, 1912, when Ludwig inherited the regency. Ludwig’s regency did not last long. Almost immediately, many parts of Bavarian society began calling for him to be named king in his own right since it was clear that Otto would never be fit to reign. The Bavarian Parliament was not in session at that time and it took almost a year for them to amend the constitution which would allow Ludwig to depose Otto and ascend the throne. 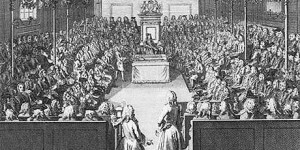 Parliament added a clause to the Bavarian constitution on November 4, 1913 that specified that if a regency lasted at least ten years due to the king being incapacitated, the regent could assume the kingship himself with the ratification of Parliament. 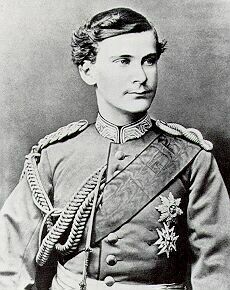 The next day, Ludwig proclaimed the end of the regency and, upon ratification by Parliament, became King Ludwig III. He took his oath on November 8, 1913. 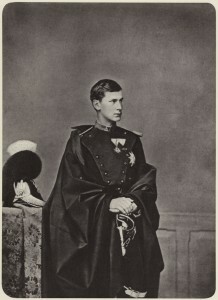 Even as king, Ludwig continued to walk around Munich without much thought as to where he was going and would frequently meet with bourgeois friends. He continued to cultivate his interest in agriculture which cartoonists made endless fun of, although it never seemed to bother Ludwig. Less than a year later, Europe was plunged into chaos by the outbreak of World War I. To most royal contemporaries, the war seemed at first to be like any of the other inter-European wars that had taken place for centuries and Ludwig was no different. The King immediately dispatched a message to Kaiser Wilhelm II in Berlin assuring Bavaria’s support on the side of the German Empire, but several days later he made it known that should the German Empire be victorious, he expected more territory for Bavaria, including the province of Alsace. As the war dragged on, the King became increasingly unpopular. Many accused him of blindly following Prussia into the war and were unhappy with Bavaria’s role in it. On January 28, 1918, there was a general protest against the war all over Bavaria — the first to occur. As the war came to an end, the German Revolution of 1918-1919 broke out throughout all of the German Empire, including Bavaria. On November 12, 1918, King Ludwig issued the Anif declaration (Anifer Erklärung) from Anif Palace in Austria where he had fled to on November 7th. The document released all those who had sworn an oath of loyalty to him, including soldiers, government officials and civil servants from their vows. 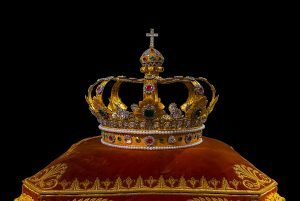 The King did not abdicate, however, the new republican government under Kurt Eisner interpreted it as such and declared Ludwig and his family deposed, officially ending the monarchy in Bavaria and, with it, the 738-year history of Wittelsbach rule. He was the first of all German monarchs to lose his throne in the aftermath of the war. 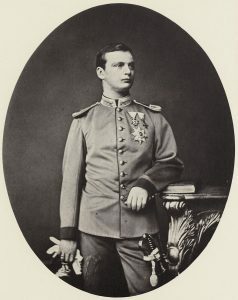 Ludwig returned to Bavaria shortly afterwards where his wife, Maria Theresia, died on February 3, 1919 at Wildenwart Castle in Chiemgau. Shortly thereafter, Eisner was assassinated and, fearing that he might become the target of a counter-assassination, Ludwig fled to Hungary, later moving to Liechtenstein and Switzerland. He returned to Bavaria in April 1920 when he felt that the immediate danger had passed where he lived at Wildenwart Castle. In September 1921, Ludwig took a trip to his Castle Nádasdy in Sárvár, Hungary. 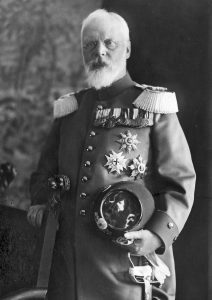 On October 18, 1921, King Ludwig III, the last king of Bavaria and last ruler of the House of Wittelsbach died. His body was brought back to Munich on November 5, 1921 and, despite fears of a movement to restore the monarchy, a state funeral was held with an estimated 100,000 spectators. He was buried in the Frauenkirche in the center of Munich. 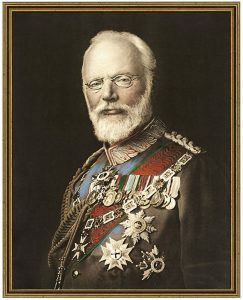 Ludwig III’s five-year, serendipitous reign was short, but with World War I and the abolishment of the monarchy, probably the most eventful of any other Bavarian monarch’s. It is difficult to judge his capability as king since the war overshadows any smaller achievements he may have accomplished. In spite of the fact that it took a long chain of events over the course of many years and an amendment to the Bavarian constitution for Ludwig to be able to ascend the throne, fate saw it fit to make him king. The bitter irony is that it was marked by military conflict to which he was so adverse and in the aftermath, he was forced to witness his family’s long rule over Bavaria come crashing down. 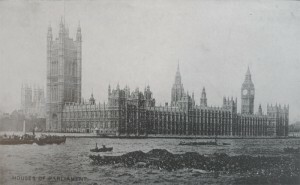 Fin-de-Siècle Britain saw many new styles and innovations in the architecture of houses. Some of these new designs were visual whilst others were more practical. A mishmash of styles were created by a number of different architects in an attempt to redefine British architecture, but they would effectively only give the period a sense of chaos. Throughout it all, however, there were common trends which emerged such as the use of new technologies to make homes more affordable and to raise living standards. 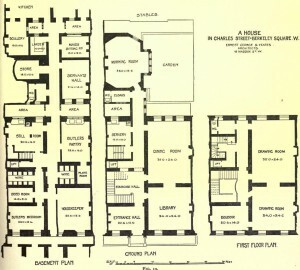 Technologies such as electricity and better plumbing were new to the period and gave houses a new set of features which their predecessors never had. 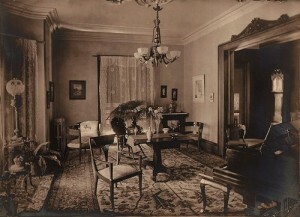 Electrical lighting became a standard for upper-middle class houses as early as the Late Victorian period, but had become common for the rest of the middle class by the Edwardian era. Indoor plumbing gave rise to the use of bathrooms and stationary bathtubs as well as indoor water closets. Other technologies directly affected the home, but were not a part of it. The ability to mass produce wallpaper, glass, rounded wooden balustrades and other decorative items meant that homes became more decorative than they had in the past. The average person could now afford to wallpaper every room in the house to their liking whilst windows became more ornate with the ability to cheaply produce geometric patterns in the glass as well as stained-glass windows. Staircases in the average middle class home could now be much fancier with carved balustrades and decorative railings. All of these were used to the owner’s advantage to show off the family’s social and financial standing in the community. Of course all of these Fin-de-Siècle trends had their exceptions. Not all buildings were built following them, but enough were to be able to define the era’s architecture by them. Architecture in the Fin-de-Siécle found itself in a similar situation to just about everything in the period. It was at a crossroads between the old and the new as technology continued to develop at an ever-increasing, exponential rate which would see the twentieth century advance like never before. Houses reflected this mixture between the old and the new in that many elements and values of the home remained from the High Victorian era, but obvious signs of change had already begun to take place in every aspect. 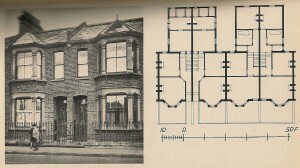 The Fin-de-Siècle house, therefore, is a very important milestone in the evolution of British housing. 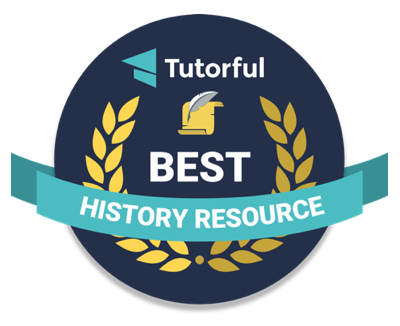 As part of my efforts to reinvent History Rhymes, I would like to not only publish articles about various topics in nineteenth-century American and European history, but also write about the latest news and research in the field. Of course as a single person, this is a difficult task to keep up with. That is why I am asking for your help. 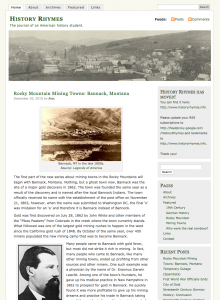 If you have any news tips or would like to point to a source of nineteenth-century news, please contact me about it. If it is a piece of news, then please also include the source so that I can reference it and follow up.